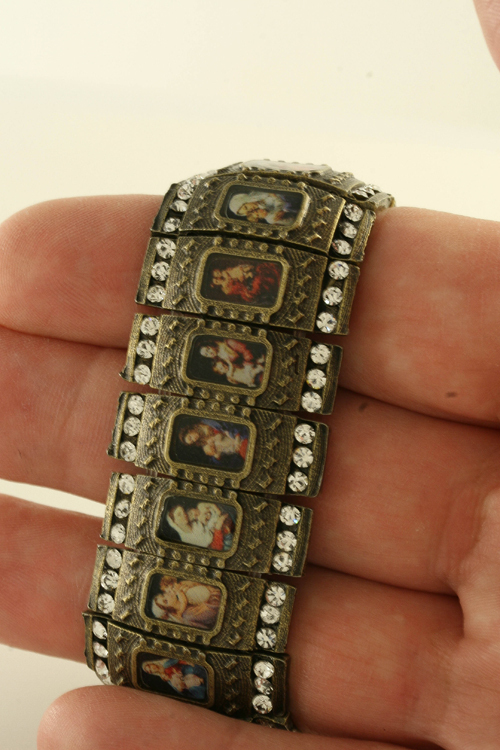 Stretchable Brazilian Saint Bracelet for Women. 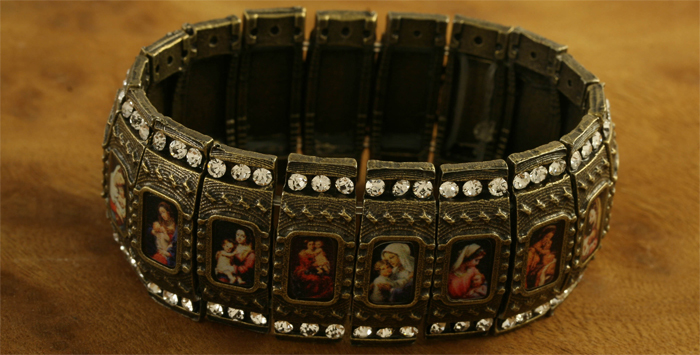 Stunning Catholic bracelet with 108 crystals and 18 images of Our Lady in full color. 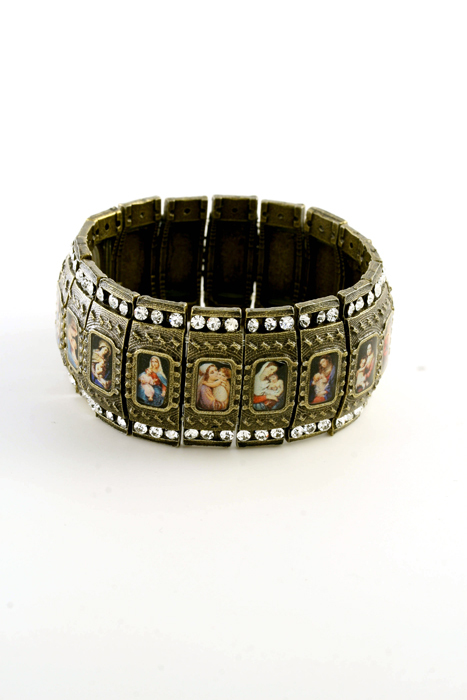 The bracelet is made of base metal and features antique finish. Each panel is 1" x .375" and has a color image of Mary and Child. A row of 6 crystals frames the small icon for a beautiful finish. Limited quantity available.